Indie siren Steph Buchanan releases her debut solo project. Buchanan: “We were going for sort of a retro-ish feel.” Photo by Kevin Buchanan. It’s fascinating when a song’s lyrical content contradicts its musical tone. There’s something oddly satisfying about the juxtaposition of brooding, melancholy prose laid on top of jaunty, major chord progressions – that tension of being pulled emotionally in opposing directions. 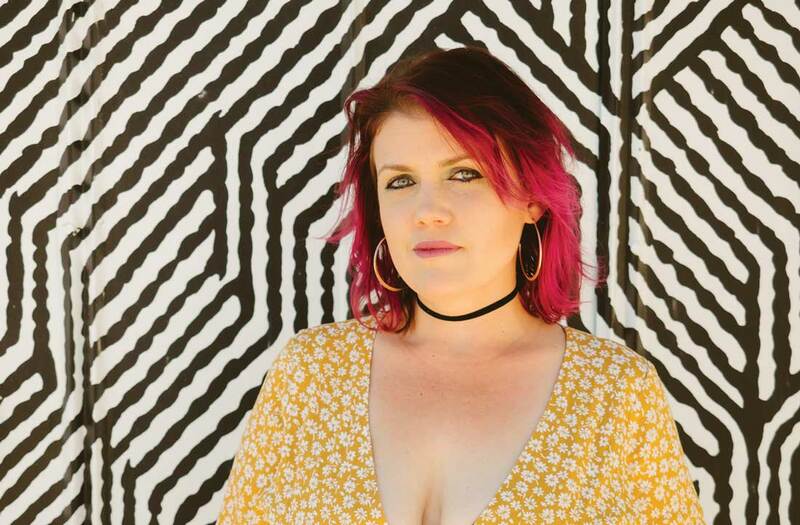 Fans of this type of musical bait-and-switch may have a new champion in Tilly and the Flowers, the solo project of singer-guitarist Steph Buchanan. The Crystal Furs frontwoman released her debut album under this nom de rock earlier this summer. The 10 tracks on Girl in the Background showcase Buchanan’s signature self-deprecating lyrics at their serotonin-depriving best, especially taken over the backdrop of producer/multi-instrumentalist Paul Boll’s sanguine-melodied piano-driven accompaniment. Imagine the self-loathing of Elliott Smith delivered in the voice of Natalie Merchant over instrumentation that blends the whimsical chime of The Cranberries with the French discotech aesthetic of Stereolab. On the page, the words might appear stark and uncomfortably revealing, but they’re sung with such smooth and inexplicable confidence that some of that vulnerability is hidden behind a thin protective veneer of sarcasm. Many of the songs on Background date back to 2014, when Buchanan was in the Diabolical Machines, her first band with husband Kevin Buchanan, who plays keys and shares songwriting duties with his wife in the Crystal Furs. But in 2015, Steph let a bit of musical insecurity get the better of her, and she left the Machines before her tracks could be recorded. This presented an opportune time for well-tenured local musician and film composer Paul Boll (Melrose Place, Spy Kids 3) to save the material. He was a big fan of Buchanan’s contributions to the Machines and approached her some time after she left the group about resurrecting and recording those songs. Buchanan sent him a few acoustic demos, and he began working on some arrangements, sending her what would ultimately become the title track first. That song laid the “candy-coated razor blade” foundation of what the rest of the album would become, she said. Over the next year and a half, Boll and Buchanan recorded the remainder of the album’s instrumentation at Boll’s home studio in Fort Worth. The vocals by Buchanan – and session musician Alan Pollard – were recorded at Fort Worth Sound. 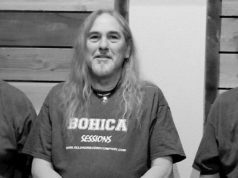 Tanner Landry offered engineering help, and Kent Stump (Wo Fat, Mothership, Stone Machine Electric) mastered the record at Crystal Clear Sound. 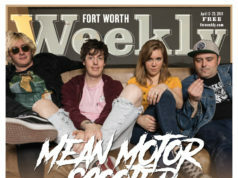 Buchanan self-released the album digitally and on CD, while Wiener Records (Loafers, Picnic Lightning) has distributed a limited run of cassette tapes. Now that the record is out, Buchanan has been working with Boll on acoustic arrangements of the songs to finally bring them to the stage. Her ultimate goal is to form a band to give the songs a proper live representation, but her patented self-consciousness has her slow-playing the prospect. Just a small clarification – it was an old band-mate of mine in Los Noviembres, Paul Unger, who played in the jazz group Flipside. Besides “Spy Kids 3” some of the film / TV work I’ve done is: Suicide Kings (Christopher Walken), Melrose Place, From Dusk Until Dawn, Roadracers (Salma Hayek, John Hawkes, David Arquette) and some ESPN stuff. Really proud of Steph on this record.